When we talk about engine oil, synthetic oil has been tested and proven to be the best option in terms of form, function, and protection for your vehicle. Synthetic oil is artificially made of chemical compounds with the aim to boost performance and purity. Not all synthetic oil are created or made equal, some are more potent than others, the question then is; what’s the best synthetic oil for your car? Though synthetic oil is sometimes twice as expensive as conventional oil, synthetic oil would always come out on top when it comes to longevity and ability to handle extreme high temperatures without breaking down easily. Let’s cut the chit-chat and get straight to the point, if what you are looking for is an excellent advanced synthetic oil from a reliable brand to keep your car’s engine running like new, Mobil 1 should be your Number 1 choice, Check it out on Amazon. 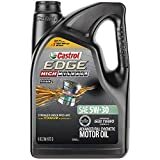 On the other hand, if you are driving any of the luxury or performance cars that includes BMW, Audi, Range Rover, Mercedes-Benz, Porsche, and Ford, you’ll want to go for Castrol Edge 0W-40 A3/B4, there’s a reason it’s getting 5 solid stars rating on websites like Amazon, Walmart, etc., you can check it out here. 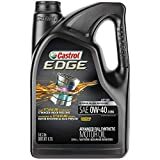 I personally use Castrol (5W 20) on a Ford Edge 2011 Limited Edition and I can tell you that it runs very cool, in my opinion, I think it’s the best oil to use for higher performance vehicle. Below are our top 10 best engine synthetic oil (pick based on various focus areas each delivers). 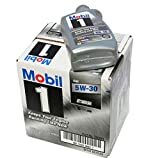 Mobil 1 5W-30 is an advanced full synthetic engine oil designed to keep your engine running like new by providing exceptional wear protection, cleaning power, and overall performance. Mobil 1 5W-30 is made with a proprietary blend of high-performance synthetic base stocks fortified with a precisely balanced component system. The 5W-30 viscosity grade is one of the most recommended viscosity grades for new cars. Mobil 1 5W-30 is uniquely designed to help provide unsurpassed levels of performance, cleaning power and engine protection. Its advanced full synthetic formula helps prevent deposits and sludge build-up to enable long Excellent overall lubrication and wear protection performance for many driving styles engine life. It has an excellent overall lubrication and wear protection performance for many driving styles. Extends engine life with excellent low-temperature capabilities. Castrol EDGE 0W-40 has been made to prevent film breakdown and reduce friction, thanks to its oil’s film strength which has been boosted with TITANIUM FST. The Titanium FST doubles the oil’s film strength and helps maximize engine performance. Short and long term engine performance is maximized. To help maximize engine response, the oil focuses on reduced engine deposits. It delivers unrivalled levels of protection across a variety of driving conditions and temperatures. Performance really good even at low temperatures. Even when under pressure, maximum performance is sustained. Independently proven to improve engine efficiency. 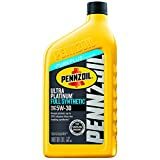 The Pennzoil Ultra Platinum 5W-30 Synthetic motor oil uses a PurePlus Technology which converts natural gas into a first of its kind extremely high-quality full synthetic base oil. This base oil is crystal clear with fewer of the impurities found in crude oil. From that pure, clear base, some high-performance additives were added to create Pennzoil Ultra Platinum; designed for complete protection without compromise. From that pure, clear base, some high-performance additives were added to create Pennzoil Ultra Platinum; designed for complete engine protection without compromise. 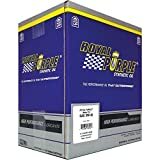 For an optimized engine performance, Royal Purple’s API-licensed Motor Oil has focused on a combination of various proprietary additives and premium base oils. Royal Purple’s API-licensed motor oil is the best for gasoline and diesel engines, they delivers greater protection and constantly improves performance. MAG 1 Full Synthetic Motor Oil provides the highest level of engine protection under most severe driving condition. The technology used in the formation and production is an advanced technology capable to viral any other brand. The 100% synthetic base oil in MAG 1 provides exceptional resistance to high-temperature oxidation thickening. Exceptionally high viscosity indices minimize thickening in cold weathers, which reduces engine wear and battery drain. MAG 1 5W-30 is formulated with High Phosphate Retention ZDDP for extended wear performance. MAG 1 5W-30 keeps pistons cleaner minimizing oil consumption and maintaining power and compression performance. It reduces engine sludge to near zero. Liqui Moly is a fully synthetic, all-season motor oil for superior performance and long engine life in gasoline and diesel vehicles. 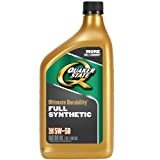 The Quaker State Full Synthetic Motor Oil is designed to give you more with every mile you cover, its performance is remarkable and keeps your engine going. More durability with the help of a fuel-saving additive that keeps the oil fresh. More engine life – as your engine temperature increases, heat-activated viscosity improvers, and antiwear additives kick in to maintain oil thickness to help extend your engine life. More performance through superior lubrication flow and pump-ability in below-freezing temperatures. 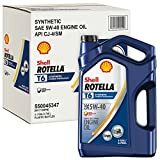 The Shell ROTELLA T6 Full Synthetic Heavy Duty Engine Oil is designed to provide an amazing responsive protection that adapts to your driving conditions even as they change from time to time. This oil features an advanced multi-functional, low-ash additive technology in a synthetic base oil. Energy saving – fuel-economy performance. Excellent wear protection and engine cleanliness. Excellent protection in extreme high/low-temperature. Improved flow even in low-temperature. For the best engine protection against, heat, deposits and wear, Valvoline Full Synthetic motor oil would fall at the top of the list. Valvoline Full Synthetic motor oil provides maximum sludge and deposit protection thanks to its advanced formulation. 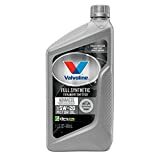 Valvoline Full Synthetic motor oil provides extra detergents and dispersants, along with premium additives that hold up to high temperatures and friction under severe driving conditions. Under severe driving conditions, you can be rest assured; as Valvoline Full Synthetic motor oil provides outstanding high-temperature protection. Even in superior cold-temperatures, it enables faster oil flow at start-up. For the best protection against friction and wear, it is formulated with antiwear additives that stay in your oil longer. Helps maintain fuel efficiency for the life of the oil. 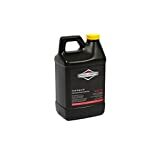 It is fully compatible with all conventional and leading synthetic motor oils. If you own a classic ride, then the AMSOIL Z-ROD Synthetic Motor Oil is the right choice for your car, they have been particularly engineered for both classic and high-performance vehicles. To prevent wear on various critical engine components andon flat-tappet camshafts,the AMSOIL Z-RODfeatures a high-zinc formulation. For added protection, the AMSOIL Z-ROD has been fitted with a patented blend of rust and corrosion inhibitors. Z-ROD Synthetic Motor Oil is designed to perform on the street and protect during storage. AMSOIL Z-ROD Synthetic Motor Oil is formulated with high levels of zinc and phosphorus which provides the extra wear protection critical splash-lubricated components require. Provides Long-Term Protection from Rust & Corrosion: To ensure maximum protection during long-term storage, the AMSOIL Z-ROD Synthetic Motor Oil is formulated with a unique blend of rust and corrosion inhibitors. Full synthetic oils are made from crude oil or by-products, and then a synthetic base stock is mixed with a variety of additives that boost the performance of the oil. While synthetic oil may offer a higher level of protection than synthetic blends or conventional oil, not all synthetics are equal. Synthetic Blend is a mix of conventional motor oils and synthetic base stocks. As a result of added synthetic base stock in Synthetic Blends, they provide better performance and protection when compared to your conventional oil. Compared to conventional motor oils, there are fewer impurities found in synthetic oils, which prevents deposits from forming in the engine and resist the formation of sludge. Synthetic oils are engineered to flow quickly even at low temperatures, they start protecting your engine right after you start your car. Furthermore, in higher temperatures, synthetic oils do not easily break down or evaporate. Improved fuel efficiency and Lower oil consumption under high-speed conditions. Extended drain intervals, with the environmental benefit of less used oil waste generated. various brands and products contain very different types and combinations of base oils and additives. Though there might be some differences in the formulation of these oils, it is almost impossible to tell the difference in terms of performance. To determine which synthetic oil is best for you, it is best to refer to your owner’s manual; it gives a detailed breakdown on what type of oil is needed for the car. When considering the best oil to use, a few things such as; viscosity, lubrication properties, fuel Economy, better wear protection, durability and sometimes a combination of all or just the Best price as compared to delivery should be put into consideration? Viscosity: Lower viscosities are better adapted in cooler temperatures and in warmer conditions, higher viscosities can help improve engine performance. Various oils usually have numbers printed on them; an example would be the “5W-30”. The two numbers refer to the oil’s viscosity properties during a cold start and at high operating temperatures. Lubrication Properties – lubrication and reduction in the friction between a number of critical engine components is singlehandedly one of the most important role of an engine oil. The higher its properties in this area, the better it is for the engine. Fuel Economy: The less friction the oil puts on the internal pathways of the motor, the more efficient the car becomes in fuel economy; due to the fact that the engine has to work less in the oil circulation process. If you want an oil that gives you much more, then the Mobil 1 is the oil to go for, it doesn’t just offer an amazing service at preserving your fuel, but the engine protection is also second to none. It is also the world’s leading synthetic motor oil; it features a proprietary SuperSyn anti-wear technology that provides performance beyond conventional motor oils. Mobil 1 5W-30 is an energy conserving viscosity oil that provides excellent all season protection. It meets the requirements for diesel-powered vehicles and it’s recommended for all types of modern vehicles, including high-performance turbocharged, supercharged gasoline and multi-valve fuel injected engines found in passenger cars, vans, trucks and SUVs. For vehicles where a 5W-30 viscosity is recommended, the Mobil 1 5W-30 will always come out top. It is designed to keep your engine running smooth and new, it provides outstanding wear protection, and maintains excellent engine cleanliness. With the number of oil brands and options available today, things become really complicated when it comes to picking the right oil for your car. Our number one recommendation would be to seek your owners manual first and follow the instructions detailed in it. Furthermore, it is also important to do some extra research and check out various customer ratings and reviews. Though the user manual should be the ultimate guide, it could sometimes get outdated in the case of an old car model. Finally, when picking the right oil for your car, quality should never be compromised. Though it might be tempting to choose the cheapest synthetic oil available on the shelf, it might end up costing you more in the long run. 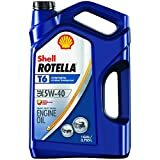 After an extensive detailed research, you are guaranteed to get the best out of your car if you use any of the above oil suggested in this review.